I am professor of Media History at Utrecht University (The Netherlands). My research mainly concerns the period of the emerging of cinematography. I aim at exploring various aspects of early cinema, especially the genre of féeries, early non-fiction film, and acting styles. 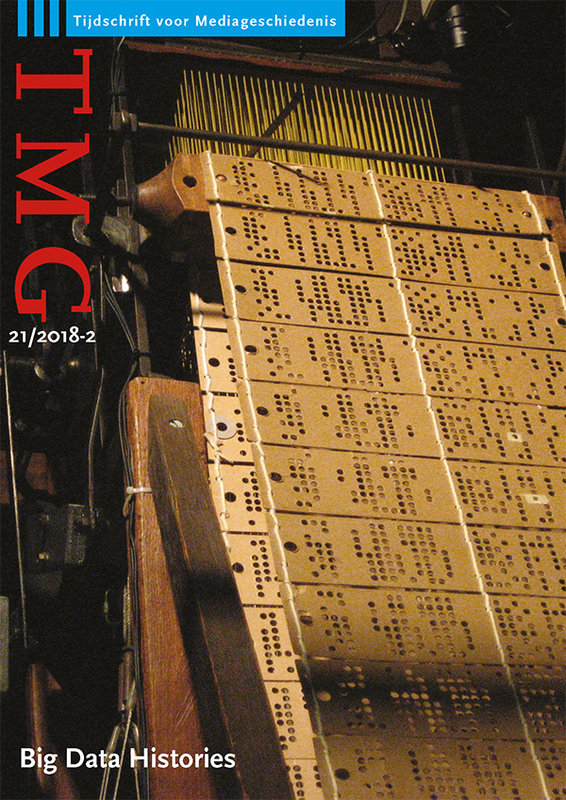 The book based on the Machines. Magie. Médias conference in Cerisy la Salle in August 2016 has been published recently, edited by Jean Marc Larrue, Giusy Pisano, and myself. 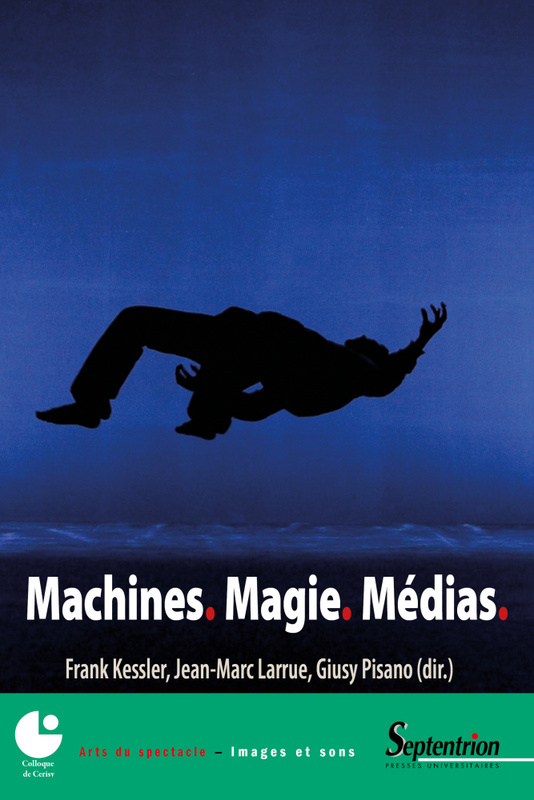 Its more than thirty chapters present the complex interactions between the history of stage magic and media technologies. The book also contains a contribution written by Sabine Lenk and myself reflecting on Tom Gunning’s concept of an “aesthetics of astonishment”. In a special issue on movie theatres edited by Claude Forrest, the Canadian Journal Cinémas, vol. 27, no. 2-3, 2017, Sabine Lenk and I contributed an essay on the history of cinemas in the German city of Düsseldorf entitled “L’émergence des multisalles en RFA: le cas de Düsseldorf”. In particular, we looked at the transition from the traditionally dominant model of one screen per theatre to cinemas with several screens within the same building. For more information look here. Also, the proceedings of the 2014 Domitor Conference held in Chicago and Evanston have now been published. Sabine Lenk and I explored the question of “fake” images in early cinema, discussing so-called “reconstructed” news items, but also the reuse of the same film for different purposes, and the re-labelling of images filmed at an entirely different occasion to sell them as “news coverage” of a topical event such as, for instance, the 1906 San Francisco earthquake. In June 2013, I attended a conference in Zürich on Christian Metz. 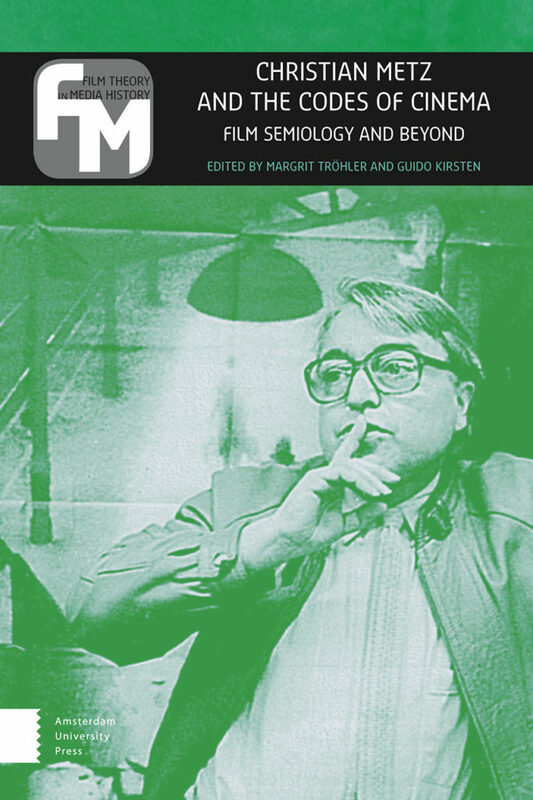 As film semiotics has lost the central position in film theory, which it had in the 1960s and 1970s, this volume is an important and very welcome collection of essays paying homage to Christian Metz, whose work has been instrumental in the establishment of film studies as an academic discipline. In my own contribution, I look at the role played by the tradition of film theory in Metz’s own writings. As part of the A Million Pictures project, Sabine Lenk and I wrote an article on the use of the magic lantern in art historical teaching in the context of debates on visual education in art around 1900, which was published, together with other contributions from the project, in the University of Salamanca’s Fonseca. 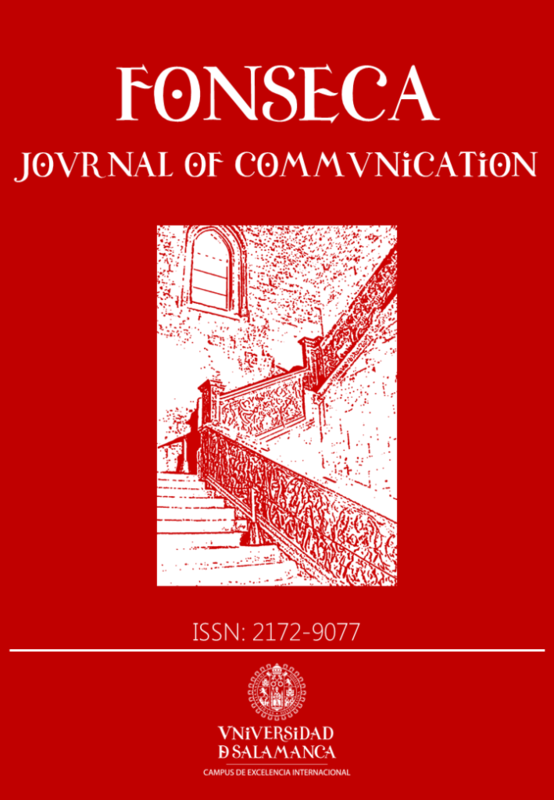 Journal of Communication. The issue was edited by Francisco Javier Frutos Esteban, Carmen López San Segundo, Daniel Pitarch Fernández and Ángel Quintana Morraja. A PDF of our article can be found here. Mirko Tobias Schäfer and I contributed to an issue of the Dutch Tijdschrift voor Mediageschiedenis on Big Data Histories (vol. 21, no. 2, 2018), edited by Karin van Es and Eef Masson. In our contribution, we take a media archaeological look at Big Data, discussing various ideas and initiatives in the 19th and early 20th centuries to collect data in the form of photographs, stereographs. or films as trustworthy and unbiased documents. The discourses that surround them show many similarities with current ones about the expectations and hopes regarding Big Data. Finally, a Spanish translation of my article “Le cinéma comme disposition (du) spectaculaire” (Cinémas 14, 1, pp. 21-34), was published in Vivomatografias 3, 2017, pp. 92-108, the Buenos Aires based journal of the Latin American Society of Studies on Precinema and Silent Film. A PDF of the Spanish translation can be found here. Yesterday I gave a lecture at Groningen University on “Media Histories / Media Dispositifs: The Case of 3-D Technology”. I was invited by the group “Arts, Media, Moving Images” at the Research Centre for Arts in Society. My argument went as follows: rather than adhering to the linear history that we encounter in numerous accounts and which basically draws a more or less straight line from Charles Wheatstone’s stereoscope of 1838 to today’s 3-D cinema and beyond that to Virtual Reality headsets, it is much more productive to look at how the various dispositifs actually worked, how they addressed their audiences, how they functioned and what kind of effect they aimed at producing. Stereoscopy participated in a number of cultural series, and this is something which becomes virtually invisible when we think in terms of a linear history. From May 18-20 Sabine Lenk and I participated at the 3rd conference of the International Society for Media Studies on the intriguing topic of “Authentic Artifice”, held at the Université de Montréal. We presented a paper entitled “‘Rendre réel aux yeux du public…’ – Stage Craft, Film Tricks, and the Féerie”. The genre of féerie is indeed a fascinating case of “authentic artifice”, flaunting its artificiality and the sophisticated effects that are used to create a seemingly naive fairytale world. At the second conference “Cinema in the Eye of the Collector” at the Cinémathèque québecoise, June 4-8, Sabine Lenk presents the Robert Vrielynck collection, which is held by the Museum voor hedendaagse kunst Antwerp, and I will talk about the media archaeological collection, which the late Werner Nekes has presented in his film Was geschah wirklich zwischen den Bildern and in his Media Magica-series as well as in numerous exhibitions. Recently, two publications came out that are linked to the research project “The Nation and Its Other“, which I conducted from 2010 to 2014. 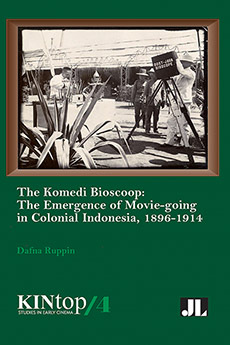 One is Dafna Ruppin’s revised dissertation that was published by John Libbey as The Komedi Bioscoop: Early Cinema in Colonial Indonesia. 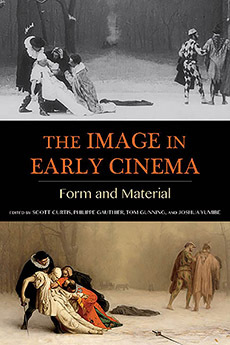 This pioneering study retraces the history of moving pictures in the Netherlands Indies between 1896 and 1914, from the first screening in Batavia (present-day Jakarta) on October 11, 1896 by the traveling exhibitor Louis Talbot to the existence of a full-fledged cinema landscape by the early 1910s. 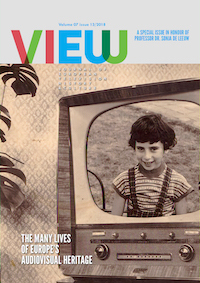 The other is a special issue of Early Popular Visual Culture (14, 2) dedicated to “Encounters Across Borders”, which I co-edited with Sarah Dellmann. It contains a study by Giorgio Bertellini on Italian propaganda efforts in the USA following reports on Italian atrocities during the Italian-Turkish War (1911-1912), while Klaas de Zwaan and Adrian Gerber present a comparative study of the film The Battle Cry of Peace (1915) in the two neutral countries of Switzerland and the Netherlands during the First World War. Matthew Solomon contributes an analysis of the transnational distribution of Georges Méliès’s films between 1896 and 1908. Dafna Ruppin and Nadi Tofighian examine the various companies operating under the name of American Biograph as traveling exhibitors in South East Asia. The beautiful castle of Cerisy-la-Salle is an ideal place to discuss the complex interrelationships between media, magic and technology. I am one of the organisers of this conference which is part of an international research project (for more details look here). Academics and magicians explore together various aspects of this subject. Besides lectures and round table discussions there are performances and film shows. Sabine Lenk and I present a paper entitled “Magie spectaculaire: pour une esthétique de l’émerveillement”.